Sunglasses can physically last for years, but fashion trends don’t have nearly the same longevity. If you want to be fashion-forward, you therefore need to re-evaluate your choice of sunglasses on a frequent basis. This ensures that your look is never outdated, and as a bonus, gives you a chance to get a nice, fresh, scratch-free pair. Retro styles are constantly coming back around, but the specifics vary from year to year. This year, the cat-eye shape is making a big splash. These can be large and showy, but in many cases, people are choosing more subdued sizes. They add a bit of pop to your face without being overwhelming. There are infinite variations in this category, but all of them involve something that makes the frames really stand out. They’re great for when you want everyone to stop and take serious notice of you and your shades. As you might expect, they are most often seen as part of a runway look, says the trend-following site PopSugar. They’re also popular among other performers. Kids also love embellished shapes, and a thick, heart-shaped frame is especially popular with grade-schoolers. 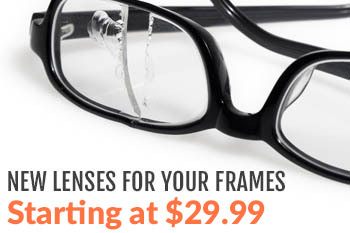 This makes them great for encouraging your child to wear glasses that he or she would otherwise not be interested in. The goal of sunglasses isn’t always to protect your eyes. If you spend a lot of time indoors, you’ll probably be more interested in conveying the idea of shades than actually having a shaded view. For this reason, lightly-tinted lenses are becoming fashionable. These have just enough of a tint to be seen, but not enough to make it impossible to see indoors or drive in dim light. Pastels and other unusual colors are popular in this category. The colors are easy to match with your outfits or hair color since they are light enough to be easily detected by onlookers. Depending on your geographic location, you may see these called “ski goggles,” “wraparound lenses,” “sports sunglasses,” and other such names. Some are actually made for use during sports, but others simply have sports-inspired looks. 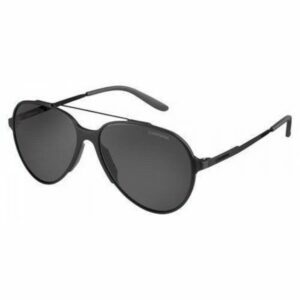 Either way, they feature lenses that curve around the side of your face, and offer the practical benefit of keeping bright sunlight from leaking into your peripheral vision. They also tend to do better than normal at stopping light infiltration from above. Despite this, the looks of sports glasses are what drive much of the interest in them. They tend to look sleek, and often feature lens tints that are on the shiny side even if they are not in a full-on mirrored style. 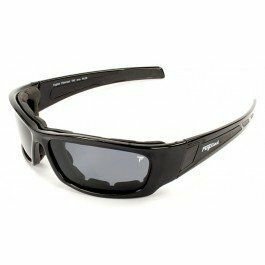 Sunglasses with wraparound lenses are available from major sports gear producers like Nike as well as a wide variety of companies that specialize in making glasses. They provide a great combo of fashion-conscious looks and practical benefits. The name of this style is a bit mysterious, considering the fact that they don’t feature an actual visor that sticks out to shade the face. Instead, they’re notable for a thick, fairly straight bar across the top of the frames. Below, the lenses are usually rounded, but this isn’t always the case. Choose them for a look that is quite bold without being shocking. If you choose a show-stopping type of sunglasses, amp it up even more with bold earrings. You may even want to take it up another notch with an entirely bold outfit. This will ensure that you get maximum attention, and that everything looks like it belongs together. That said, even if you wear a toned-down outfit with your extra-bold shades, everyone’s eyes will go right to the glasses and you’ll get plenty of comments about them. If you sometimes prefer to blend in, you’ll need an extra pair of sunglasses in a more subdued style. Women have it easy with this one: Elle suggests using bold red lipstick. Guys can add the red with a shirt or tie. Either way, the color goes well with the thin lenses that have been popular this summer, and which will likely remain that way into the fall. Slicked-down hair works perfectly with these sports-centric sunglasses. It makes you look as if you might really be about to participate in a game, or like you just came from one. For women, tying the hair into a casual ponytail works great. Men should go for a shorter slicked-down look to get the right effect. Try taking inspiration from tennis players to perfect the look. Take a retro look all the way to get the most fashion bang from these sunglasses. For a 70s look, try Boho shirts and hairstyles. If your retro sunglasses don’t have a 70s look, just choose outfits that were popular in the relevant decade instead. Done right, you might make people wonder if you really are a time traveler! These are just some of the trends that have emerged for the fall of 2018, and some of the things you can do with them. It’s always a good idea to add something unique to yourself with any fashion style. Everyone loves a bit of originality! 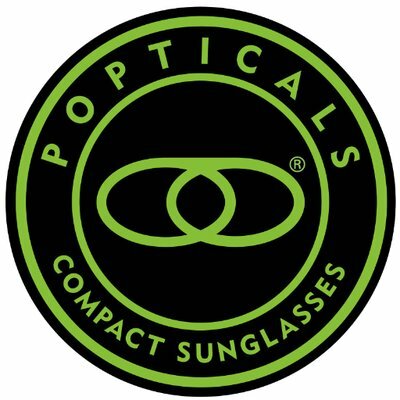 To see our latest selection of sunglasses and update your looks, just visit our site or contact us. We’ll be glad to help you keep your fashions current!